I swear I can smell it through the computer. I don't doubt it. Made a second loaf and used 1 tsp salt instead of 1 1/4. Subtle but significant improvement. Wow! 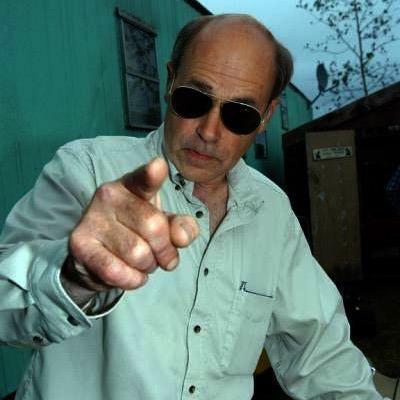 Courtesy of Jim Lahey! Is that you or the liquor talking, Jim? A great idea! How much molasses would you recommend throwing into a loaf with three cups of four? It's up to taste, really! When using milk, I'll go up to half a cup to keep the flavor at the forefront, but I'd probably drop it to a quarter or a third of a cup when mixing with water. I like it to be present and bold, but not overwhelming. I'm also uncertain as to how it may alter the consistency of the dough. Perhaps try a third of a cup and experiment from there? Using milk is a wonderful idea. I'll start a loaf tonight with some milk (that is if we have some haha) and I'll let you know how that goes. Combine water and yeast, then mix in salt and flour, let it rise for 8-12 hours then bake at 400F for 25 minutes. Delicious and dead simple. It looks like yours is fluffier, though, so I'll probably try the NYT recipe you posted this weekend. This looks very similar to what I make. Keep the salt and yeast, but to do what I did here reduce flour to 3 cups and water to 1 5/8 cup. However I have switching things up to where I'll use half unbleached white and half whole wheat. I haven't gotten the water proportion down, but it's somewhere around 1 1/4. Another cool thing about the NYT recipe is that the bread bakes for 30 minutes with a lid on, then for another 20 with no lid. It allows for the fluff in the first stage, and then a really nice crust develops in the second. Yes exactly! The short amount of time each step takes it really nice. The bread I've been making is a type of no-knead bread. Speaking of "artisanal," I was driving by a McDonalds and saw that they advertise their new sandwiches as being "artisanal." When McDonalds starts using words with more than 4 syllables, there's a fairly high chance that they aren't using it in the proper context. I learned recently that "artisanal" only means that something was made in a non-mechanized way, aka by hand. Looks delicious. My previous attempts at bread-making wound up with rounded bricks of boring, hard bread. I know that's not usually what you want in bread, but have you ever tried making hardtack? It almost ends up like a bread-cracker. It's really good with soft cheese. I have not. Know any good recipes? I have one somewhere in the kitchen. I'll get back to you about it when I find it. If you haven't read it, flour water salt yeast is a great book with a ton of tips for amateur breadmakers. I prefer sourdough, but it's always good to get diversity! I'll definitely look into it. I've been sticking to my guns with this one over the past few months but I could move on to something more complicated. I have a question, I have tried making bread in the past, but it always turns out tasting kind of dough-y no matter how long I cook it. Any tips? It sounds like you might be using too much salt or too much yeast. I recommend using 1tsp of yeast per three cups of four and 3tsp of sea salt. Never ever for any reason use iodized. I'm really curious, what is the problem with iodized salt? I mean, it is normal salt with just a little iodine added. I once walked into a salt and oil shop to pick up some olive oil. I was with my fiance and she saw some Himalayan salt. She asks the woman at the counter, "my roommates have started using Himalayan salt, but I'm not sure what it is. Could you explain it to me?" The woman then goes on to tell us that Himalayan salt is one of the healthiest forms of salt because it is one of the least processed, meaning the chemical structure is such that your body receives the most nutrition from it. She then explained that in general, course salts are that way. She continued by telling us that iodized salt is among the most processed, meaning the body doesn't receive much nutritional value from it because the chemical structure has changed too much. She also told us that she can tell when a person uses iodized by looking in their eyes. She asks people with yellowish eyes, "are you always craving salt?" They always answer with a shocked "yes! how did you know?" She tells them that yellow eyes is a result of eating iodized salt and iodized salt often times leads to an insatiable craving for salt. Is this anecdotal evidence? Yes. Do I believe this woman? Yes. She most certainly seemed like an authority on salt. I could have shared this story or some anonymous article on the same topic instead. The article would have been written by a human, more than likely very similar to this woman. I like anecdotal evidence. Aaaw snap! I think that's my problem. I'm pretty sure the salt I've been using has been iodised! Yeah no good. I use sea salt. Himalayan works well too. Essentially use a coarse salt. But not kosher, that's more a cooking than a baking salt. That looks amazing. 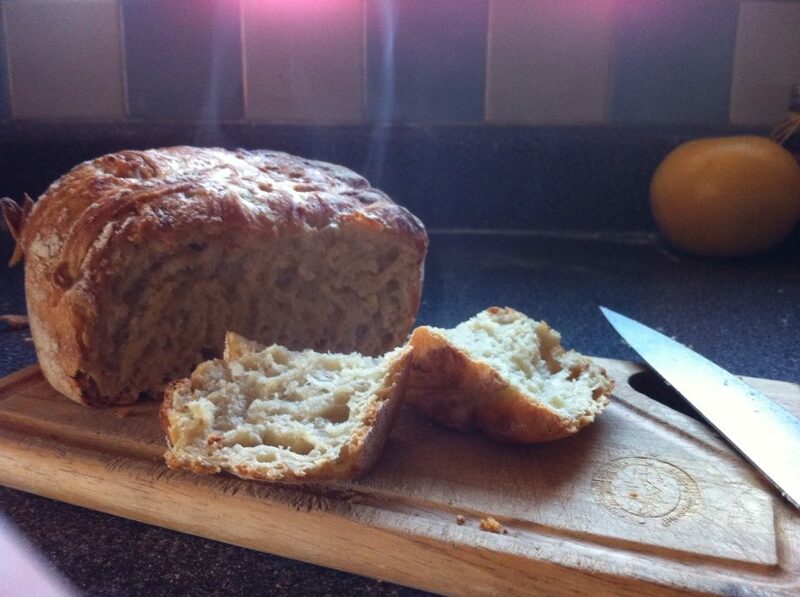 I tried making bread a few times at home with a bread machine I had borrowed for a a short period of time. It was a disaster. Turned into a solid tasteless lump :( . Your bread looks amazing though! It's not too difficult to take on. Just make sure you make it with love. Yo, I made that a while back too! Bread five! I intend to make loaves multiples times a weeks to consistently have a fresh stock.